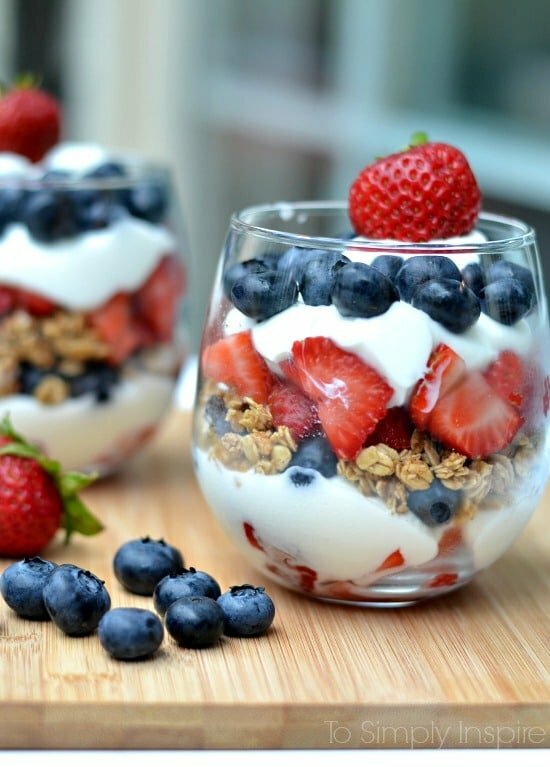 These Red, White, and Blue Parfaits make the perfect patriotic treat. 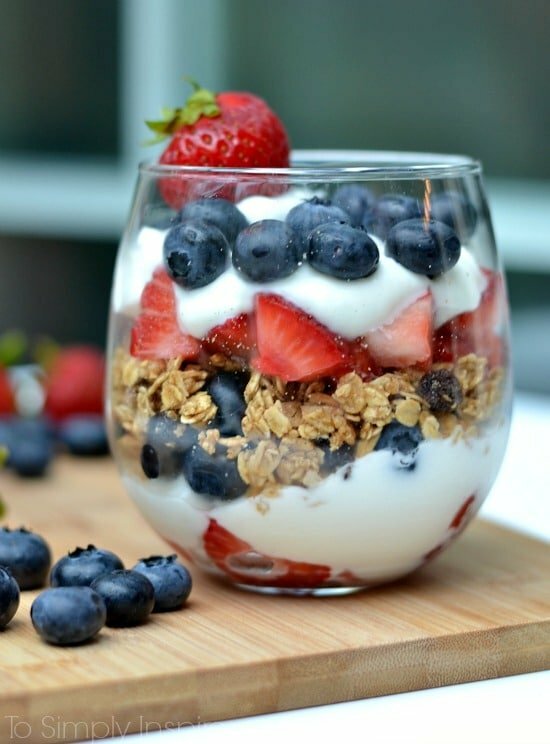 Simply layer fresh strawberries, fat free yogurt and fresh blueberries with a little granola in the center for an easy and healthy dessert without the guilt. I am in party planing mode for some fun 4th of July festivities this weekend. 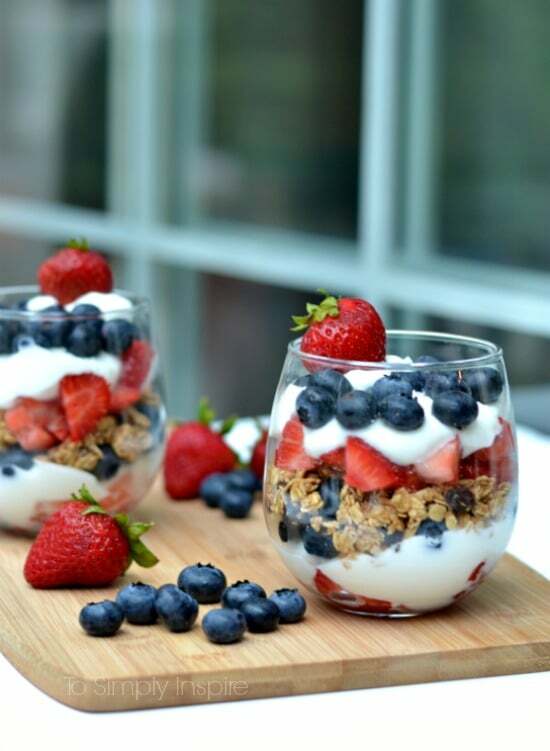 I love making these Red White and Blue Parfaits not only because they are so stinking easy and loved by everyone but because they are healthy too. 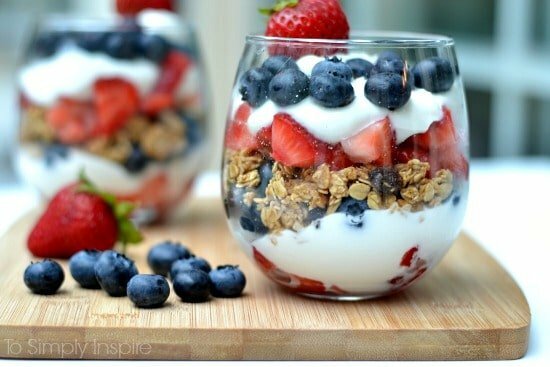 Simply use strawberries, blueberries, fat free plain or vanilla Greek yogurt and granola (homemade granola is easy to make too). I use plain a lot when making them and love to drizzle them with honey to sweeten just a tad. These Red, White, and Blue Parfaits make the perfect patriotic treat or healthy dessert without the guilt. Nutritional information is with fat free plain Greek Yogurt. 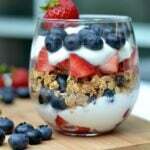 Values will change if using Vanilla Greek Yogurt.